The Fray had their greatest success with the 2005 album and single How To Save A Life. They are still around but nowhere near as successful. I think it's fair to say there was a lot of luck that gave them success because they are nothing special. The Fray are from Denver led by schoolmates Isaac Slade and Joe King. Slade is lead singer and pianist. King is rhythm guitarist. They write most of the songs. Other members are lead guitarist Dave Welsh and drummer Ben Wysocki. They hire a bassist for touring. They all attended Faith Christian Academy in Denver and they learned to play in church bands. After releasing a couple of EPs, The Fray signed with Epic Records in 2004. Their debut CD How To Save A Life was released in 2005. The debut single Over My Head (Cable Car) reached #8 on the Billboard Hot 100. How To Save A Life was the second single and it reached #3. The song is about suicide. What really sold the album was when Grey's Anatomy music supervisor Alexandra Patsavas saw The Fray perform in Los Angeles and she decided to use How To Save A Life in an episode of the show and it became the unofficial theme of the show. That's the luck I was talking about. The album was certified 2XPlatinum. Subsequent albums haven't been as successful. The 2008 single You Found Me was their other top ten hit. They haven't had a hit since then. You can get all their hits on this budget comp. The major criticism of The Fray is they are too similar to bands like Coldplay and Keane but those bands are better. That's probably true and that's why luck was a big factor in The Fray's initial success. Without Grey's Anatomy, they don't have the same success or longevity. 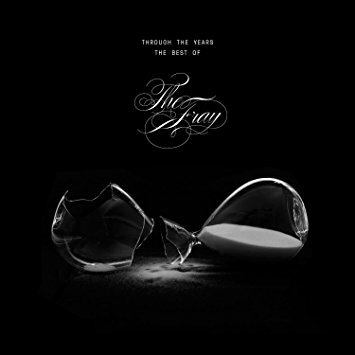 The Fray's latest CD of new music was released 2014. But the Through The Years comp was released last fall and they are touring to support it. After the tour, I expect them to record new music. Considering their upbringing, I wouldn't be surprised to see The Fray turn to the Contemporary Christian market at some point. They would be very successful there. Here's the video for How To Save A Life by The Fray.